Fleetwood Town have signed Macaulay Southam-Hales from Welsh Premier League title-chasers Barry Town United. The right-back, 22, spent 12 years at Cardiff City as a junior and joins the League One club for an undisclosed fee. He signed before the close of January's transfer window, after impressing on trial, but the announcement was delayed to await international clearance. "Our scouts have watched Macaulay for a while. 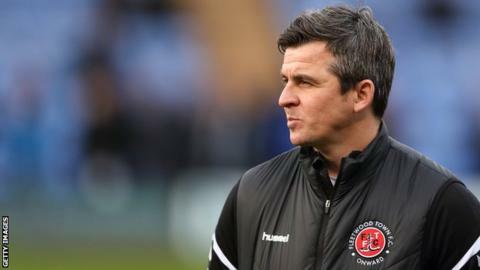 He's an exciting young player," said Fleetwood head coach Joey Barton.